Come by subway, by car or by tram (and eventually by ferry), but you should come to Roosevelt Island! 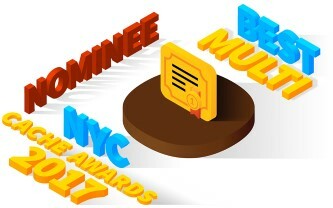 Update: February 2018 - I have been notified by the New York City Geocaching Community that this cache has been nominated for Best Multi in NYC in 2017!! Thanks to all that have visited so far as you are a big part of this happening! Located in the middle of the East River, Roosevelt Island is approximately 2 miles long, with a maximum width of 800 feet. The island has changed names numerous times over the years. It was originally called Minnehanonck by the Lenape and then Varkens Eylandt (Hog Island) by New Netherlanders. After the English defeated the Dutch in 1666, Captain John Manning seized the island, which became known as Manning's Island, and twenty years later, Manning's son-in-law, Robert Blackwell, became the island's new owner and namesake. In 1796, Blackwell's great-grandson Jacob Blackwell constructed the Blackwell House, which is the island's oldest landmark and New York City's sixth oldest house. Through the 19th century, the island housed several hospitals and a prison. In 1828, the City of New York purchased the island for $32,000, and four years later, the city erected a penitentiary on the island; the Penitentiary Hospital was built to serve the needs of the prison inmates. By 1839, the New York City Lunatic Asylum opened, including the Octagon Tower, which still stands but as a residential building. The asylum, which was designed by Alexander Jackson Davis, at one point held 1,700 inmates, twice its designed capacity. In 1861, prisoners completed construction of Renwick's City Hospital (renamed Charity Hospital in 1870), which served both prisoners and New York City's poorer population. In 1872, the Blackwell Island Light, a 50-foot, Gothic style lighthouse later added to the National Register of Historic Places, was built by convict labor on the island's northern tip. Seventeen years later, in 1889, the Chapel of the Good Shepherd, designed by Frederick Clarke Withers, opened. By 1895, inmates from the Asylum were being transferred to Ward's Island. The Asylum was renamed Metropolitan Hospital. However, the last convicts were not moved off the island until 1935, when the penitentiary on Rikers Island opened. The 20th century was a time of change for the island. The Queensboro Bridge started construction in 1900 and opened in 1909; it passed over the island but did not provide direct vehicular access to it at the time. In 1921, Blackwell's Island was renamed Welfare Island after the City Hospital on the island. In 1930, a vehicular elevator to transport cars and passengers on Queensboro Bridge started to allow vehicular and trolley access to the island. In 1955, the Welfare Island Bridge from Queens opened, allowing automobile and truck access to the island and the only non-aquatic means in and out of the island; the vehicular elevator to Queensboro Bridge then closed, but wasn't demolished until 1970. More changes came in the latter half of the century. In 1968, the Delacorte Fountain, opposite the headquarters of the United Nations, opened. A year later, the New York State Urban Development Corporation (UDC) signed a 99-year lease for the island, and architects Philip Johnson and John Burgee created a plan for apartment buildings housing 20,000 residents. In 1971, Welfare Island was renamed Roosevelt Island in honor of Franklin D. Roosevelt, and four years later, planning for his eponymous park, Franklin D. Roosevelt Four Freedoms Park, started. In 1976, the Roosevelt Island Tramway opened, connecting the island directly with Manhattan. The tramway was meant as a temporary solution to the then-lack of subway service to the island, which began in 1989 with the opening of the Roosevelt Island subway station, on what is now the F train. During the 21st century, the area became more gentrified. In 1998, the Blackwell Island Light was restored by an anonymous donor. In 2006, the restored Octagon Tower opened, serving as the central lobby of a two-wing, 500-unit apartment building. In 2011, Southpoint Park opened south of Goldwater Memorial Hospital, near the island's southern end. In 2012, the Franklin D. Roosevelt Four Freedoms Park was dedicated and opened to the public as a state park. The posted coordinates will bring you to a location where you will need to find a SIGNAL. Once you find the SIGNAL, you will know where to go next and how to find the geocache when you get there. While you are at the posted coordinates, feel free to step inside and say hello if they are open. They have lots of free information available about Roosevelt Island and they love having visitors. However, you do not have to go inside to get the information you need for the geocache.